The benchmark FTSE Bursa Malaysia KLCI Index is down 14 percent from a record in May 2018 and it’s the worst major market in the world so far this year, having slipped 3.4 percent. That’s even amid a rally in global equities spurred by the Federal Reserve’s dovish pivot and a potential trade deal between the U.S. and China. 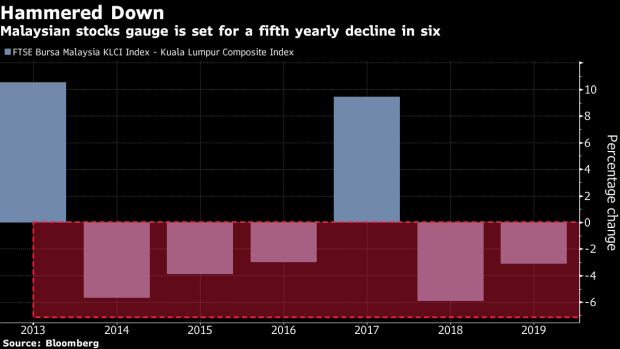 The gloomy outlook for Malaysian stocks isn’t likely to end anytime soon, says Samsung Asset Management Co.